Our rustic oak barrels help create a perfect focal point to gather around. Guest are naturally drawn to them as they are the perfect height for use as a drinks table. Combined with rustic wooden stools they are perfect for an additional, chilled seating area. The Champagne colt is the perfect addition to both large scale events and private intimate affairs. The Champagne Colt is the ideal station for welcome drinks, whether that be prosecco, cocktails or G&T's, it is completely versatile. 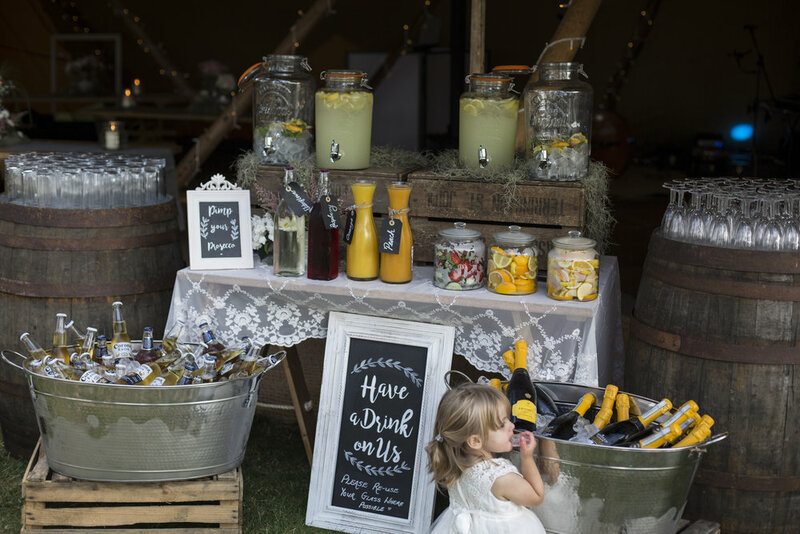 Our steel buckets are a perfect addition for those who require a way to chill bottled drinks for their guests. 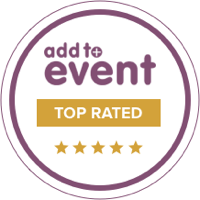 Best used on a self serve station or dotted around the venue, they fit in with a relaxed festival vibe. Just don't forget the ice!